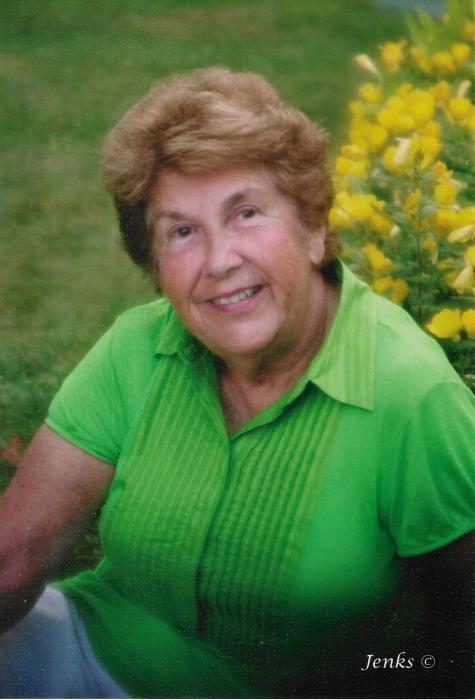 Doris Irene (Crepeault) Stetson, age 86, died on April 15, 2019 at the St. Johnsbury Health and Rehabilitation Center. Doris was born to the late Hazel (Champany) and Philip Crepeault in the family home on what is now known as Crepeault Hill Road on April 24, 1932. In 1973 they moved to their colonial inspired home on the hill that they built in St. Johnsbury and Doris continued her community involvement serving on the boards of the St. Johnsbury Athenaeum and Caledonia Home Health Care. She was also active in supporting her husband’s board work with Northeastern Vermont Regional Hospital and St. Johnsbury Academy. After his retirement Doris and John traveled to Europe and Australia and spent many winters in Venice, Florida enjoying warm weather and good friends. But “camp” on Harvey’s Lake and her home in St. Johnsbury were her favorite places. She was a native Vermonter to the core. Doris loved to entertain and create special moments for family and friends. Her grandchildren have wonderful memories of Vermont Christmases at Grammys with intricately decorated and yummy Christmas cookies and leisurely summer dinners with fresh shucked corn and strawberry shortcake at the big camp table at Harvey’s Lake. There was always a special sign or banner of welcome greeting each summer arrival at camp. She had a curious mind and enjoyed a lively conversation. She was always ready to offer a common sense opinion on almost any topic and loved visiting with family and friends. Her grandchildren were her pride and joy and she was there to welcome each one into the world. She is survived by her four children, Deborah Stetson Stiemann (Terrence), Scott Stetson (Sandy), Barclay Stetson (Tina) and Amy Stetson; eleven grandchildren: Elizabeth (Mack) Roposa (Dan), Kate (Stiemann) Federer (Rich), Zachary Stiemann, Zoe (Stiemann) Mamo (Richie), Andrew Stetson, Demetria Stetson, Alex (Rebollo) Luke (Lance), Margaux Rebollo, Tony Rebollo IV, Dylan Stetson and Sadie Stetson; and four great-grandchildren: Mason Roposa, Rowan Roposa, Wyatt Federer and Wes Federer; sister: Bernice Ash; niece: Lee Ash; sister-in-law: Sandy Crepeault; and nephew: Todd; and several other nieces and nephews from the Stetson family. She is predeceased by the love of her life, husband John, of nearly 49 years of marriage, brother Robert Crepeault, brother-in-law Melvin Ash, niece Kathy and nephew Keith. Donations made in her memory may be directed to St. Johnsbury Academy, Development Office, PO Box 906, St Johnsbury, Vermont 05819 or to Presbyterian Church of Barnet at West Barnet, 68 West Main St, Barnet, Vermont 05821. Doris will be cremated and her remains joined with her loving husband John’s at a family memorial celebrating her life at a later time. Condolences and memories of Doris can be sent www.saylesfh.com or The Stetson Family, c/o Deborah Stiemann, 889 Reeds Hollow, Dr. SE Grand Rapids, Michigan 49546. Family, friends and community were her priorities in life. Before her death she envisioned a party she would have to thank the community and all her friends for the gifts of kindness and friendship that were shown her during her life and particularly since the loss of her husband John. The Stetson family wishes to thank the staff at St. Johnsbury Rehab Center for their kind and compassionate care during her final days.